Effortlessly elegant the Barbican Side Table by British furniture designer, Robert Langford, is a timeless and versatile piece that will grace a range of interior schemes. 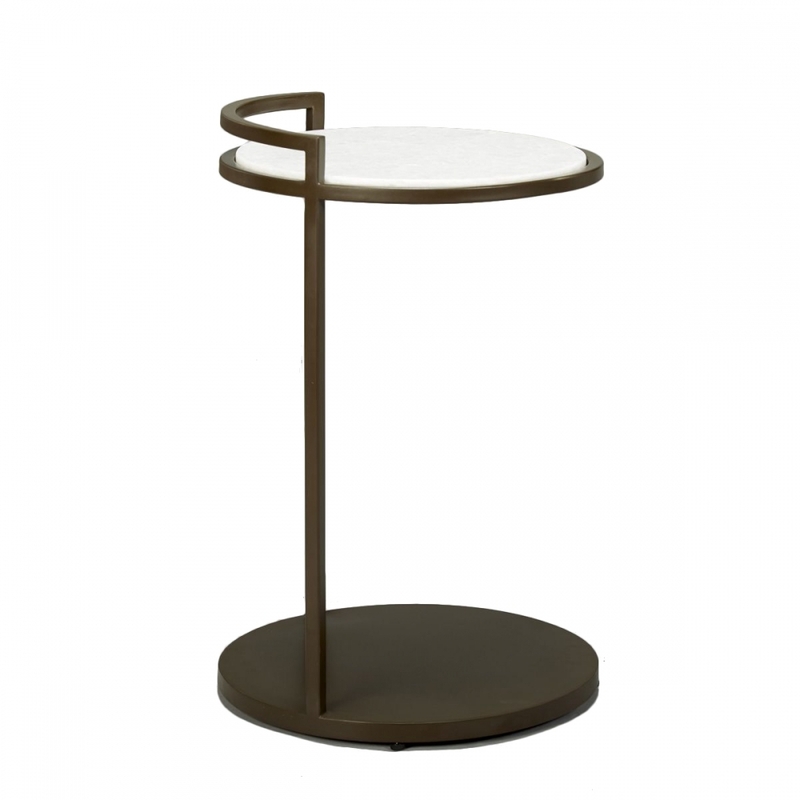 Beautifully balanced with exquisite fine lines forged in copper and topped with an exquisite marble top, the Barbican Side Table makes a stylish statement in any contemporary or deco inspired interior. Style it out in the foyer, bar, bedroom or living room, nestled amongst tropical palms and orchids for a touch of bygone Hollywood glamour.